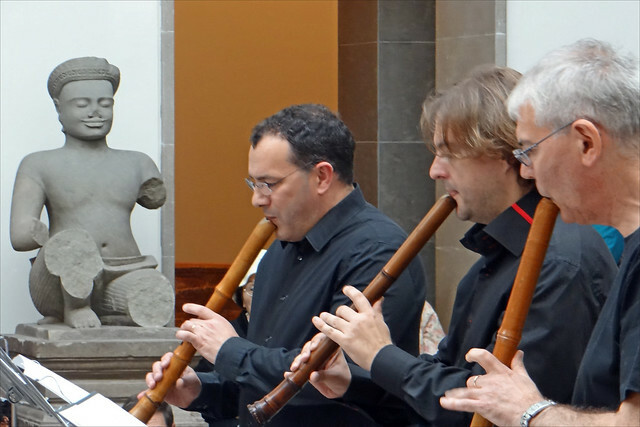 The vertical flute is meant to be played in an upright position. There are three designs of a vertical flute, including the rim-blown flute, a transversely blown flute, and a tubular duct flute. While these three different types are referred to as a vertical flute, the rim-blown flute is more readily recognized as a vertical flute. There does not appear to be any general date in the creation of this particular type of flute, and there does not appear to be any specific reason why these kinds of flutes were created. 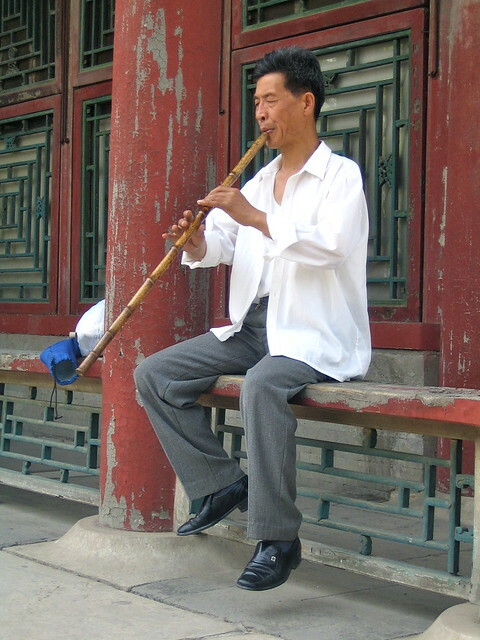 Most people are familiar with flutes that must be played when held in a horizontal position; the fact that this flute is meant to be played in an upright position makes it a unique flute. While many will be unfamiliar with any of the terms mentioned above, such as the vertical flute, rim-blown flute, transversely blown flute or tubular duct flute, many are quite familiar with these kinds of flutes. Different kinds of flutes such as the recorder, or the tin whistle are examples of tubular duct flutes. They are, for the most part, played in an upright position, even if not completely vertical. Some of the older versions of the vertical flutes have a tube that decreases in size from top to bottom, much like many of them still do today, and has six holes on the top. 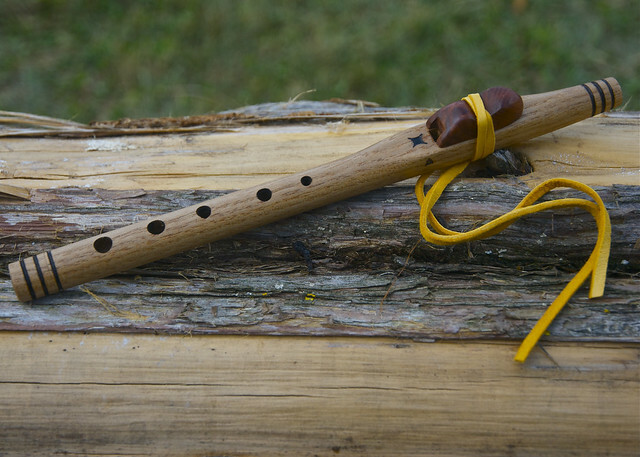 Unlike the recorder, though, there is no hole on the back of the flute for the thumb to cover. Like just about any type of flute, flutes that fall under the category of being a vertical flute have been around for a very long time. There is no specific period mentioned that would mark when the first vertical flute was created, but it is obvious that it has been around for hundreds of years by looking through the history books. Today, they are relatively easy to acquire. Just about any kind of vertical flute can be purchased at a relatively inexpensive price, depending on the specific type of flute as some are more expensive than others. The sheet music is also fairly basic and easy to find. Used music stores also tend to have various types of vertical flutes that have been traded in by others who no longer had a use for them. These, of course, usually cost less than if someone were to purchase them new. Some of these vertical flutes are taught to students at a young age who are attending grade school. The main reasons for this could easily be the cost, but also because the music is so basic and easy for young children to pick up. Some continue to play it on their own time after learning some of the basics in school because they enjoy playing it. It is not a complicated instrument and can be a perfect instrument to play for fun on one's own free time. 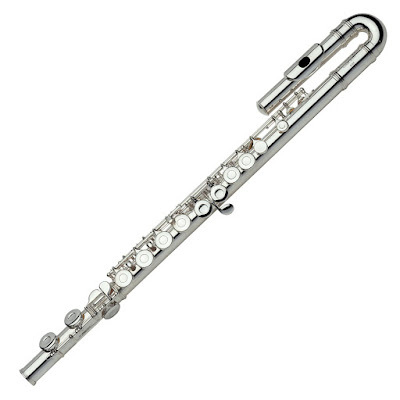 These kinds of flutes can also be great for individuals who are new to playing a wind instrument because it gets them used to the basics of how to play such an instrument. 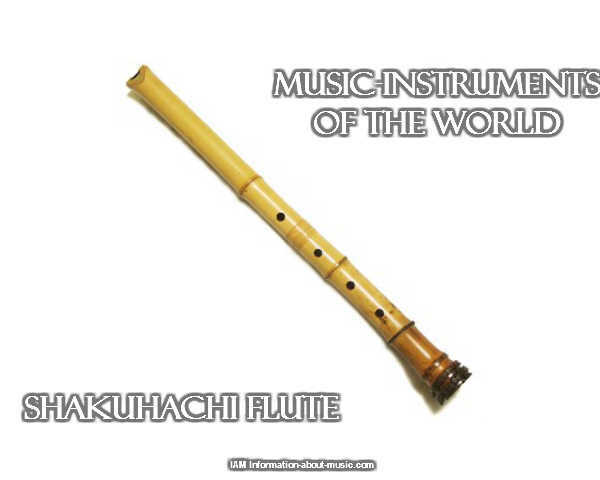 The flute is one of the most difficult instruments on which to produce a good tone. This is because the flute is the only instrument that relies solely on the performer's ability to direct his or her air column accurately and simultaneously continue to create space in his or her body for the sound to resonate. The other wind instruments have mouthpieces or reeds to guide their air, and the string family has a bow and resonating box built into the instrument that assists tone production. 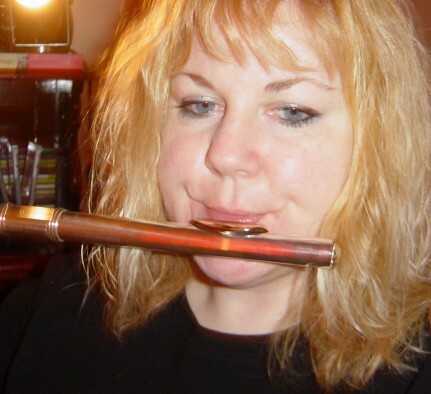 Understanding 3 basic principles will help beginning and intermediate flute players to both improve their tone on the instrument and make the good tone a consistent part of their playing. The first principle of good tone is to get as much of your bottom lip on the lip plate as possible. Draw the corners of your lips forward so that they are hugging the lip plate. Do NOT pull them back in a smiling position. Bringing the corners of your lips forward creates more space in your mouth, therefore contributing to the size of your "resonating box". As a flute player, your resonating box consists of the sinus cavity, the space in your mouth and throat, and the chest cavity. This simple act also allows you to engage all of the muscles around your mouth area, which will give you more strength and flexibility when you attempt to change octave. The second principle of good tone is to understand register production. 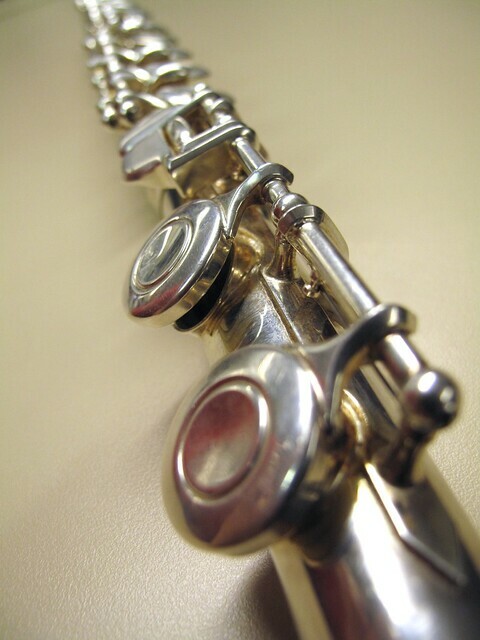 The flute is capable of playing comfortably in 3 registers - low, middle, and high. It is the direction of your air column (the stream of air you are blowing over the tone hole) that will produce the register you are seeking to play. This should be the primary way you change your register. If you blow your air down, or more directly into the tone hole, you will produce the low register. The middle register is produced by blowing your air straight out across the tone hole (a parallel line from the hole you are making with your lips), and the high register is produced by directing your air column up like you are trying to blow a bee off of your nose. Other factors will contribute to the production of the different registers, but they should not be your primary focus because you will find that they all have their primary functions. For example, if you increase the size of the hole you are making with your lips, you will find the low register, but you will have also affected the color and pitch of your tone. The third principle of good tone is to play with good, relaxed posture. Remember, the flute requires the performer's body to be its resonating box. Therefore, a flutist must sit up straight in his or her chair, or stand tall, when playing. 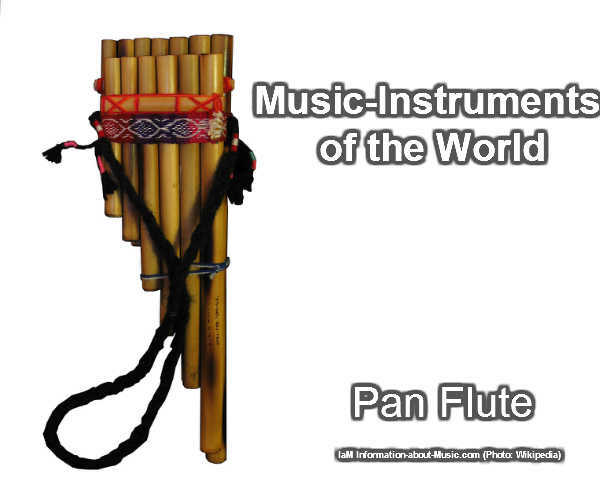 Also, the flute requires the left arm of the player to reach across his or her body. A flutist must always remember to keep his or her shoulders square so that this arm does not decrease the size of the box around the lungs. The performer should attempt to play with as little tension in his or her muscles as possible so that tightened muscles do not inhibit the ability of the body to vibrate. Of course, all of these techniques take practice and time to master, but with careful attention, determination, and practice, every flutist can play with the beautiful tone he or she desires. Flute keys have to close exactly on the tone holes to seal them from air leakage and then an exact tone can be produced. The only way this can happen is to ensure the key is level and the tone hole is level and the pad has no holes or creases in them. This is achieved by seating the pads correctly and then bending the keys and testing them continually until you get the best seal possible. We test the seal in several ways. One of the most common ways is to use a strip of cigarette paper. You place it between the rim of the tone hole and the pad and then close the key to see if the paper is grabbed or slips out. If it slips out, that means that air can get out of that space and thus you will lose sound and volume etc. I use a jeweler's eye loop to examine the hole more than I use the cigarette paper because I can get a closer look through the magnification and I find it quicker. Bending the keys to make them level was at first very scary. You are working on a $300.00 and up instrument and you're taking a pair of flute pliers and bending the key to insure it is setting right over the hole. Yes, you occasionally break the keys right off. At first this is very unnerving but when you realize that you are suppose to be able to fix keys that are broken off, then it becomes no big deal. Once you realize that all the pieces of the flute had to be made and soldered together, you can rest assured that you can fix anything. We have recovered flutes that have been stepped on, sat on, jammed in doors etc., etc. Alright so we took out all dents and bends, which is a science all on it's own. We made sure the springs are all intact and of the correct tension. We have checked and replaced and seated all the necessary pads. Finally, we bent and leveled all the keys and their pads over the tone holes so that we get as close to a perfect seal as possible. Then we clamp the keys shut, to make a deep imprint in the pad, thus making a very air tight seal. We do this by first using a small pad iron to iron out any wrinkles from any new pads. Then you soak the pads with alcohol (this is one method). Apply the individual key clamps. Then you place the flute in a pad oven for a few hours. Pad ovens vary in size and shape. I use a long narrow leak light, which I put in the flute and then I put it in a wooden box. Some people don't use an oven. After that, you'll get a great seal and the flute will play great. The volume will be great with no hissing or leaks. After that if you give it regular hand cleaning and have someone a tech give it a once over every 6 months you get the best out of your flute and it will last a long time. If you want to know how to make a flute, you first need to know two numbers. The first one is the measurement of the speed of sound in inches (or centimeters, etc.) per second. In inches, that would be 13526.5, and in centimeters, that would be 34357.31 - this is how far in linear distance sound travels per second, at sea level, at about 70 degrees Fahrenheit, or at about 21 degrees Celsius. The second number to know in flute making is how many Hertz (frequency of vibration) that a particular given note resonates at. For a brief and simple example, let's say we use the note "A". The frequency of "A", in Hertz, is 440. Now we take the speed of sound in inches (or centimeters) per second and divide that number by the note's frequency, in this case, 440, and we will then have the measured length of the wavelength of the note "A". This would end up to be 30.74 inches, or 70.08 centimeters long. The next step in how to make a flute is simple. With an open-ended flute, the body of the flute would actually need to be one half-wavelength long to play the fundamental note (the lowest note possible to play, with all finger holes closed) properly, in this case, "A". Due to other variable factors in flute making such as bore diameter, wall thickness and etc., the flute will actually need to be a tiny bit shorter - depending upon the thickness of the flute wall factoring in as well, this is generally about 1/3 of the bore diameter. Shorten the length little by little until the correct note is achieved. How to make flute embouchures or the blowing edge hole, is to make it half of the flute's bore diameter wide, measuring the center point of the hole to be a bore diameter's distance from the inner face of the closed end. A very convenient part about knowing how to make a flute is in the fact that the above mathematical formula is also how you would find the positions for the finger holes' center points, according to the notes they are to play. How to make flute finger holes is to start small, slowly making them bigger as you "creep" them up the length of the flute towards the closed end until the right note is achieved. Finding the correct hole placements along the length of the flute's body is important, but anywhere around the body at that point along the length is fine for hole placements... this allows for the reach of different sized fingers and hands. If you'd like to learn more about how to make a flute, flutes of many types, or any homemade instruments of types such as woodwinds, percussion instruments or strings with precision, feel free visit my website on how to make your own music with homemade musical instruments you make yourself, at http://rockfreakinsolid.com - these aren't your kids' paper plate tambourines, plastic butter bowl drums or shoebox and rubber band guitars!